What’s Spark? Many things: A placemaking effort to energize our city’s most important space, a tactical urbanism test to examine the approaches of a redesign in progress, a complicated and rewarding partnership that brought Monument Circle stakeholders and officials together with an array of cultural organizations, and a socially engaged art project that focused on interacting with people as the main ingredient to the success of all of the above. 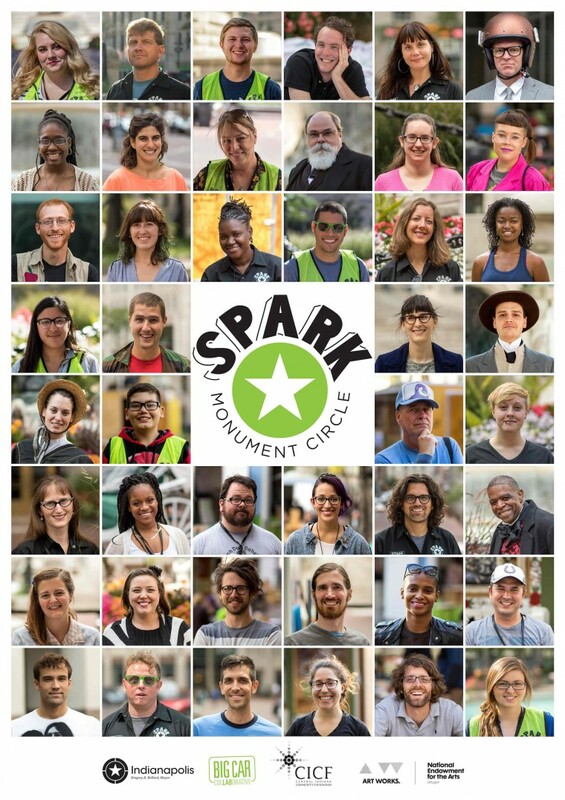 The participants in the human-scale programming at Spark during 11 weeks in 2015 were both members of the public who joined us there (by chance or on purpose) and the artists, program designers, and facilitators who created and cultivated opportunities for the public to play, create, socialize, and have fun. Photos by Kurt Nettleton of Big Car. See his Spark wrap up video here and more of his great work and photos from Spark and everything else we do here.